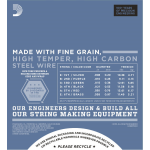 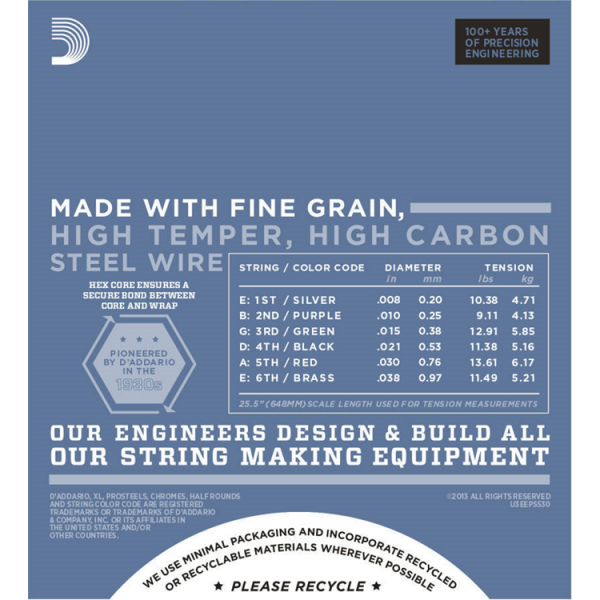 Super-bright, crunchy tone and corrosion resistance for longer string life. 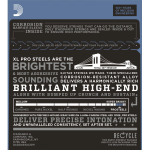 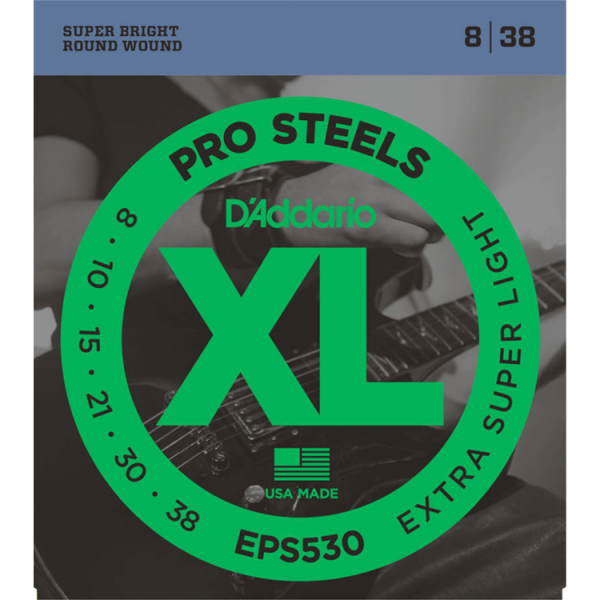 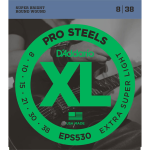 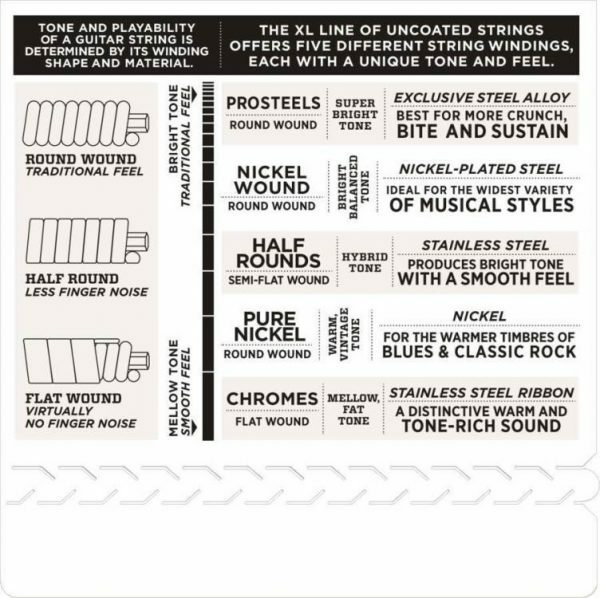 D’Addario XL ProSteels utilize an exclusive corrosion-resistant steel alloy that delivers super-bright tone without shrill overtones. 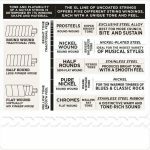 They offer a palette of harmonically rich, brilliantly penetrating highs combined with pronounced, tight-and-tough lows. 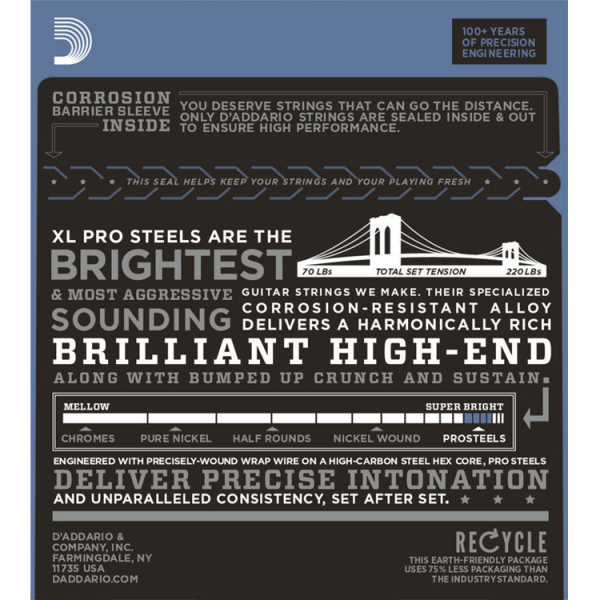 If you’re looking for more crunch, bite, and sustain, ProSteels are the choice for you.